Everyone Can Create curriculum brings creative expression to every subject, now available on Apple Books<br/>New, Free Guides for Drawing, Music, Video and Photos Unleash Student Creativity<br/>Apple today announced its Everyone Can Create curriculum is now <a href="http://apple.co/everyonecancreate" target="_blank">available on Apple Books</a>. 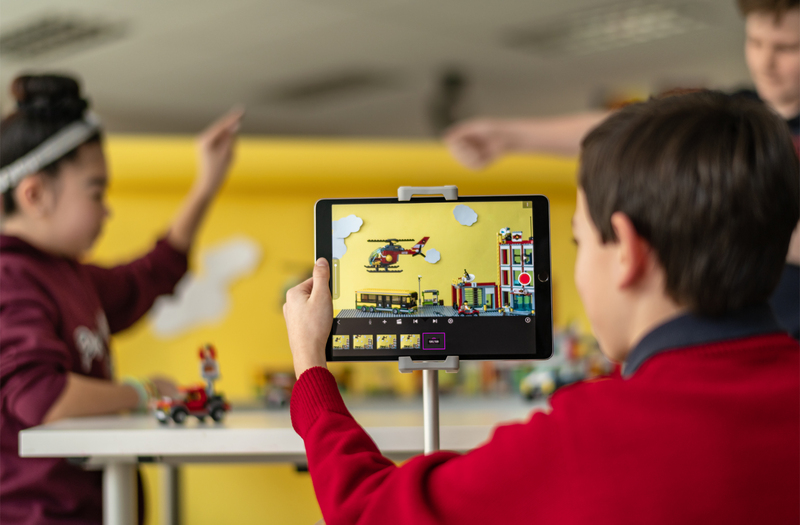 Designed to help unleash kids’ creativity throughout their school day, Everyone Can Create teaches students to develop and communicate ideas through drawing, music, video and photos on iPad. The new, free project guides give teachers fun and meaningful tools to easily fold these skills into any lesson, assignment and subject. Everyone Can Create joins Apple’s successful Everyone Can Code initiative as one-of-a-kind programs for teachers that keep students excited and engaged. <br/>For more than 40 years, Apple has worked alongside educators to help them foster creativity in the classroom. The Everyone Can Create project guides were developed in collaboration with educators and creative professionals to help kids express themselves, and help teachers bring students’ creativity to life across any subject. With the 9.7-inch iPad with support for Apple Pencil and free, built-in apps like GarageBand, iMovie, Clips and Swift Playgrounds, teachers now have powerful creative tools at their fingertips. <br/>The Everyone Can Create collection is designed to allow teachers to easily incorporate creativity into their existing lesson plans in any subject, including language arts, math, science, history, social studies and coding. Since releasing a <a href="https://www.apple.com/newsroom/2018/03/apple-unveils-everyone-can-create-curriculum-to-spark-student-creativity/" target="_blank">preview in March</a>, educators in more than 350 schools around the world have started working with Everyone Can Create. <br/>Everyone Can Create includes four new project guides for drawing, music, video and photos available for free in Apple Books. Each guide provides a series of projects that build skills progressively, helping students gain foundational to advanced vocabulary and techniques in each medium. <br/>A new teacher guide helps bring these projects to life in the classroom with 300 lesson ideas across media, projects and subjects. For example, a math teacher can guide students to use the iPad camera and burst mode to capture the arc of a basketball being tossed through a hoop and measure its parabola. <br/>In 2016, Apple launched Everyone Can Code, a comprehensive program and curriculum to help students learn coding to create opportunities and prepare them for the workforce. Today, more than 5,000 schools, community colleges and technical colleges worldwide are using Everyone Can Code curriculum. <br/>Apple’s Classroom app helps teachers integrate iPad and Mac into the classroom and they can create assignments, see student progress and use apps in class with Apple Schoolwork. Nearly 200,000 education apps are available in the App Store today. In addition, any teacher or student with a Managed Apple ID has access to 200GB of free iCloud storage to safely store their creative projects, keeping them up to date, secure and accessible from any device.